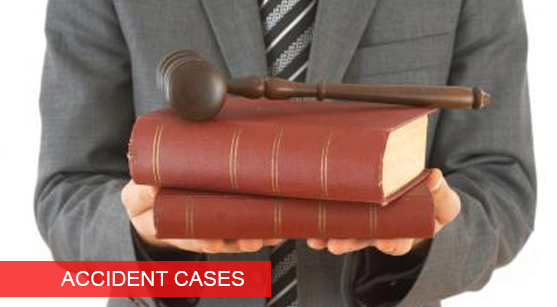 One of the most common cases fought in lower and high courts (unless they take a serious turn and are referred to the apex court), accident cases have many facets to be dealt with. Depending on the casualty of the incident or the severity of the damage caused to person and property by the driver, the case should be handled with care and thoroughness at all times. Whether the advocate represents the defendant of the prosecutor, equal care must be taken to ascertain all facts about the case before the case is presented in the court. The Indian law has many provisions for different types of accidents. Depending on the reasons why the accident was caused (the driver may have been negligent, had harmful intent and purposely caused the accident, was under the influence of drugs and/or alcohol, weather conditions, fault of the vehicle, fault of the pedestrian or the other party on his/her own vehicle, etc. ), the judge reads out a sentence. Accident cases may become criminal ones if there is an indication of involuntary or voluntary manslaughter. In such cases, the case becomes complicated and the sentences awarded to the person causing the accident are heavy. The sentence usually includes a certain amount of time in jail with a fine to be paid. If the nature of the accident is severe and caused in grievous injury to the defendant, permanent/temporary disability or death, the court directs the culprit to pay compensation to the injured or to his dependents. The chances of applying for bail and getting it also depend on the severity of the crime. Advocates in Chandigarh has experience in a wide number of accident cases for people within the city and in other parts of the country too. There is a dedicated team for this section that conducts thorough research of the case and the precedents, as well.